A major unsettled area of my life these past few years has finally been settled -- not in the way I would have expected as recently as a couple months ago, but, in a "coming full circle" sort of way, I feel I'm where I'm supposed to be. I've gone back and forth countless times since 2008 (as many entries to this blog since then will attest) regarding where my church home would be. Hubby and I had been attending a small non-denominational church for several years, and while we were (and are) fond of the pastor and his wife and the other people there, the services were very simple (a few praise choruses, maybe a solo or ensemble, a few more choruses, a sermon and an ending chorus), I'd long felt something was missing. (In the meantime, hubby began working most every Sunday and was unable to attend with me.) Through E-mail conversations with my sister-in-law and a subsequent visit to a small traditional Lutheran church, I became convinced that what I was missing was the beauty and history of the liturgical style of service. I wondered if I would find it stuffy and cold, but the opposite was true. It truly ministered to me, and for the next several months, I was excited about going to church. I soon became aware of some policy issues of the church's governing body that I disagreed with, yet I proceeded to join the church in Feb. '09, but ended up leaving (along with many others) three months later. Over the next couple years, I ended up going back to that church a few times (still having differences with the governing body but feeling unable to let go of that particular church). I attended a Presbyterian church and then a Methodist church regularly for some time and had attended the membership class for both, but didn't feel led to make that final step. I still felt convinced that I needed a liturgical service, but there are only a certain number of that type of church within a reasonable distance of where I live. At times I thought I would never find the right church for me, or that it simply didn't exist. I wanted so badly to resolve this situation and it was so frustrating to feel it just would not happen for me. One day early this year, having returned once again to the Methodist church but again feeling it wasn't right, I searched online for what felt like the umpteenth time. There was a church called First Christian whose web site had caught my eye before. I could tell it was not a liturgical church, but I could also tell it seemed like an alive and vibrant place and had a lot of activities going on. I attended one Sunday and the people were so very welcoming but the service, as I suspected, was contemporary. But I thought, "I could go to some of their activities without attending the worship services". Shortly thereafter, I decided it would be fun to attend their chili cookoff on a Friday evening. I made a few rounds sampling the chili and trying to decide which to vote for when four ladies invited me to sit with them. I lost track of time as these ladies proceeded to interact with me like we had always known each other. I had never experienced anything like this at any other church. As I left that evening, I was confused. Why did I feel drawn to this church and these people, when I wasn't looking for a contemporary church? Well, I'd need to attend other activities there while I continued to look for the right Sunday worship service -- because I wanted to see these ladies again. They actually seemed like people I could become friends with, something I'd been desperately missing. I have Dianne, but she's 35+ miles away and we only see each other every 4-6 weeks. A few weeks after that, I began (and am still) attending a Bible study every Tuesday at the home of one of the ladies from the chili cookoff. This became such an anticipated weekly event (despite my thinking I did not want to go anywhere on a weekday evening after a long day at work) that, at first occasionally, then more often and finally every week, I began attending on Sundays also. I found I was getting more used to the contemporary services because of the love of God that was so evident everywhere at this church. To my astonishment, I decided a few weeks ago that THIS is where God was leading me as my church home, and I was officially welcomed as a member on June 26th. It IS very different from what I thought I was looking for, but I'm convinced it's the place I've been looking for all this time. As I mentioned on Facebook, I feel privileged to be there but also unworthy to be among such genuinely Godly people, and I pray more of what they have will rub off on me! In the meantime, my dear friend Dianne has settled into her new smaller 1-story home in a gated 55+ community a couple miles from the home she'd lived in the past 11 years, and she and her 3 little dogs are really enjoying it. I went there to visit her a week ago Sat., the day before I joined First Christian. She knew her mom was looking for a recliner and phoned her to see if we could take her to ReclinerLand in Auburn to look for one and then go out to eat, and she agreed. 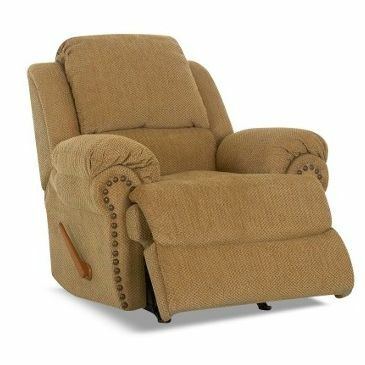 I said, "I wish I could get a new recliner; mine broke a couple weeks ago!" I'd sat in, sometimes slept in and bounced around in the poor thing the past few years and it was getting pretty rickety. Then one weeknight, I went to push the footrest down and it didn't go down. I pushed harder and the right side came off! We have a spare recliner that was actually quite similar, so I figured that would now be my chair. While Margaret and Dianne were looking at recliners, while having NO intention of buying myself a new one, I tried out some of the more affordable ones for future reference. I came to a $742 chair in a dusty medium gold fabric that was on clearance for $295. It was SO soft and comfy. As with my church, I felt drawn to it. It just felt SO right and though the color was not my first choice, it was neutral and I felt it would look good in our great room. I told myself, "I work hard and need a comfy place to relax when I'm home, and the price is right". After arguing with myself for 20-ish minutes while Margaret ordered her chair, I decided to buy the comfy gold chair. I thought my hubby would have a fit (since we had the spare recliner and also said he could fix the broken one), but to my surprise, he agreed it was a practical purchase and a good price! It was delivered this past Saturday and I'm enjoying hanging out in it this 3-day weekend. I'll post its picture here, but it looks nicer in person than in the pic. I love my chair! Not a lot else is new. I completed the Barbie in the cream and burgundy striped gown (pic coming soon to my crochet blog at teri360.blogspot.com), and now my large glass cabinet where I display my Barbies is full. So I'll need to figure out a display method for a few more I plan to make. I'm currently working on a green shawl (same pattern as the peach one I made for one of the graduating senior girls at church) in sage (looks more like apple green) Simply Soft that I found for half price on my recent trip to Portland and Salem which turned out to be a disappointment (got lost a LOT despite multiple Google maps and was sick with another of my major migraines the entire third day). That was hard to take after having to postpone this trip last year, but joining my church and having my new chair has helped ease the pain. Well...as usual as this time of night, I'm not sleepy. Hopefully I will be soon, so I don't sleep away half of my very rare day off work. Happy Birthday, U.S.A.!